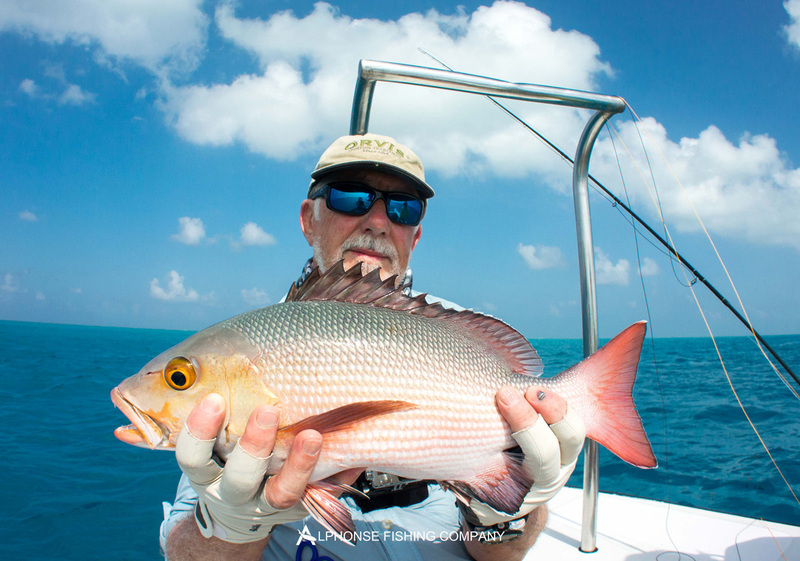 Sometimes at the end of the week when the fish numbers are totalled it really just doesn’t seem true. 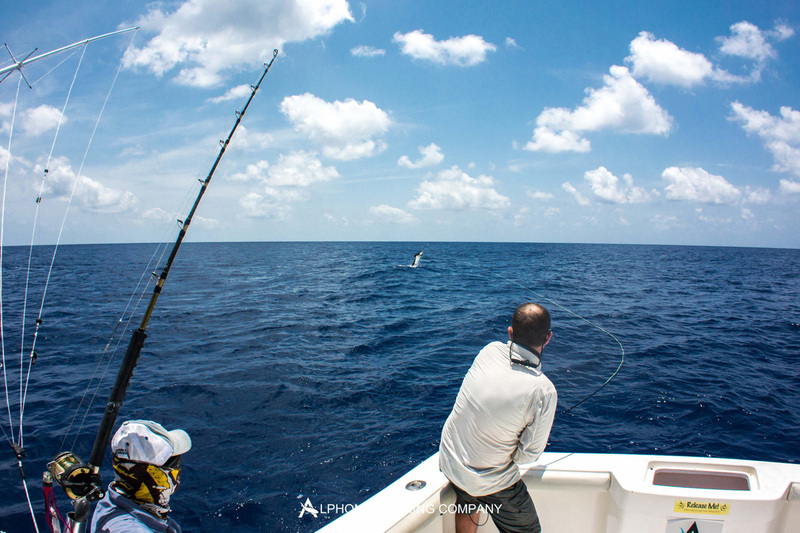 Week 20 goes down as one of the best if not the best fishing week we’ve had this season. The achievements that our guests managed this week were truly astonishing. 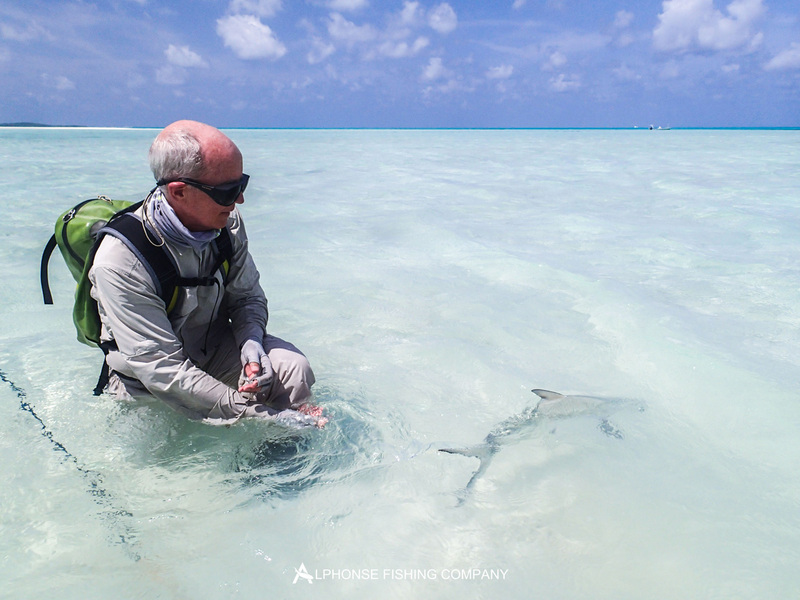 The tidal phase and weather conditions couldn’t have been better this week, with a breezy north-westerly wind also helping to keep everyone nice and cool on the flats. The tidal movements were some of the biggest of the season, with over 2.0m high tides and 0.2m low tides giving a big tidal range and lots of fast flowing water. Luckily all the guests this week had their boots strapped on tight and were ready for big surf walks. 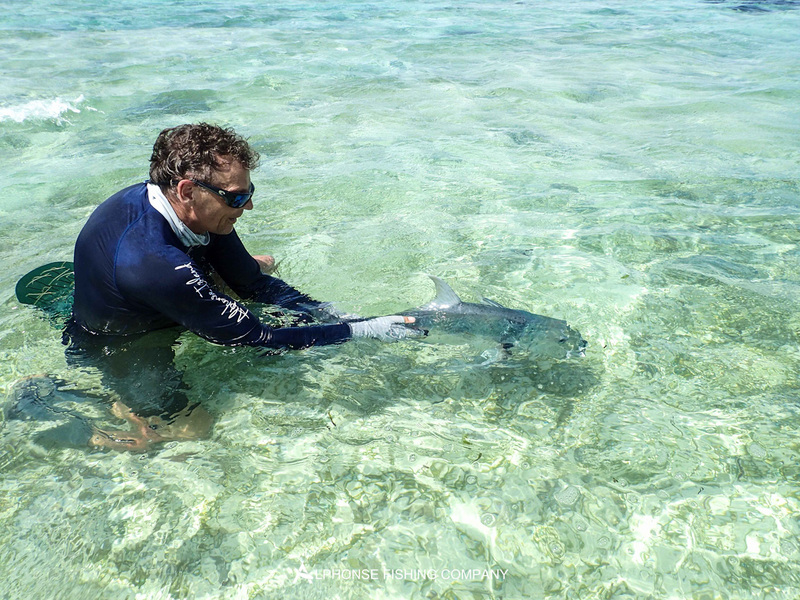 The two most notable events of the week were the 17 triggerfish landed, a new best for the season and 4 Indo-Pacific Permit which in any season is fantastic. The first to become part of the prestigious Permit club was Tom Robson with a gorgeous fish. As the week progressed; Rod Squires, Mike Beck-Hansen and Mike Mcgrath all joined Tom in catching the fish of a lifetime. This brings the total Permit for the season to 36, this is almost triple any previous seasons record. 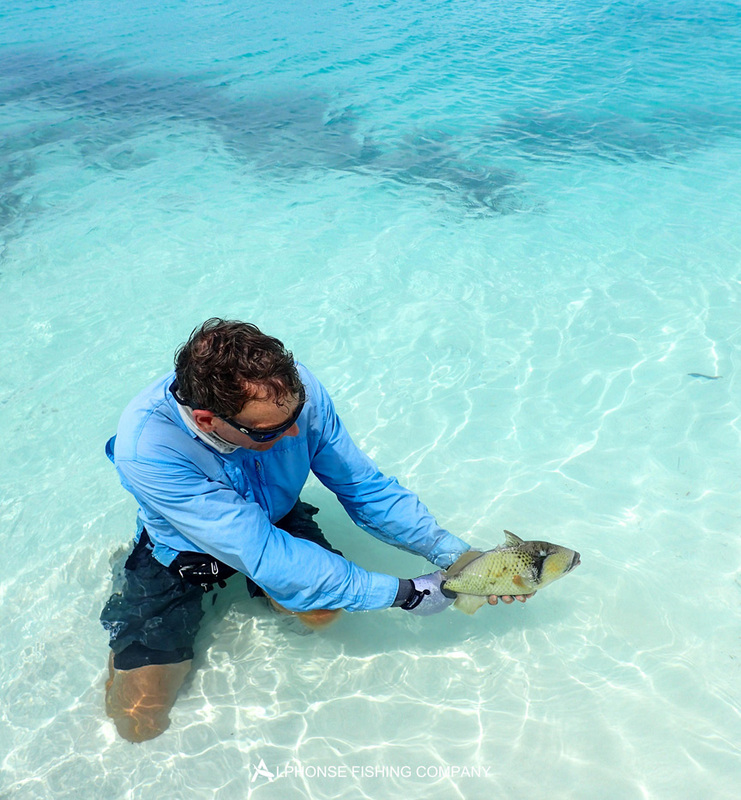 Now for the triggerfish, which were out and about and happy to oblige. 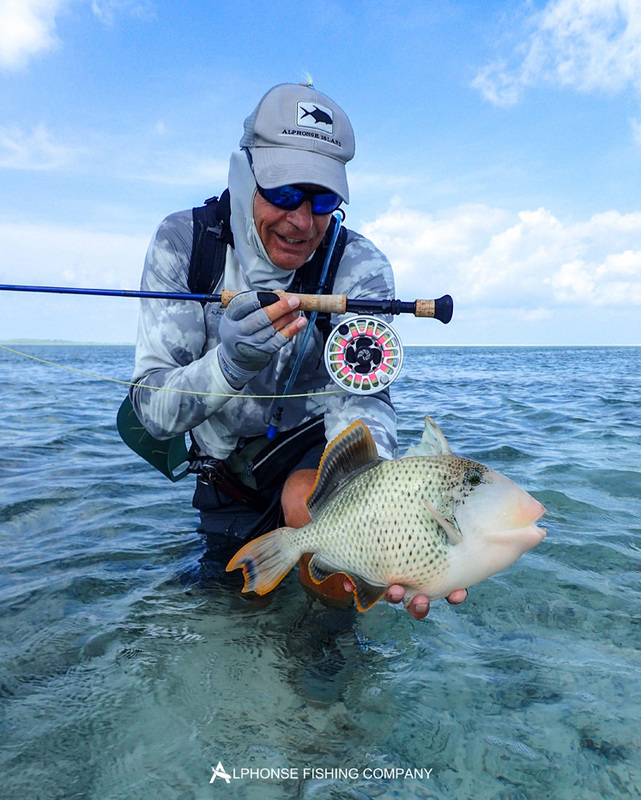 Ron Benck was our triggerfish champion by getting his hands on 6 triggers for the week, 3 Yellow-margin and 3 Moustache. 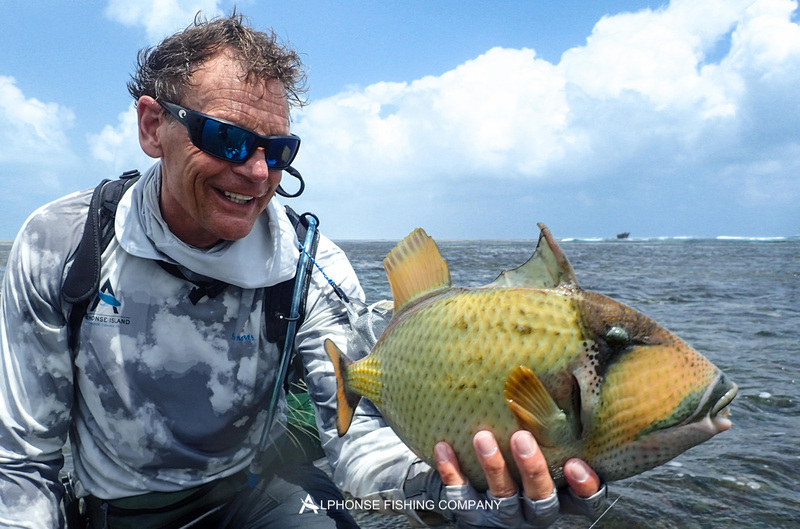 Mike Beck-Hansen, Tom Robson, Anders Nissen, Soren Nissen, Tom Lundeen, Brian Naylor and Ken Eastwood, all caught triggerfish and contributed to the best trigger week of the season so far. 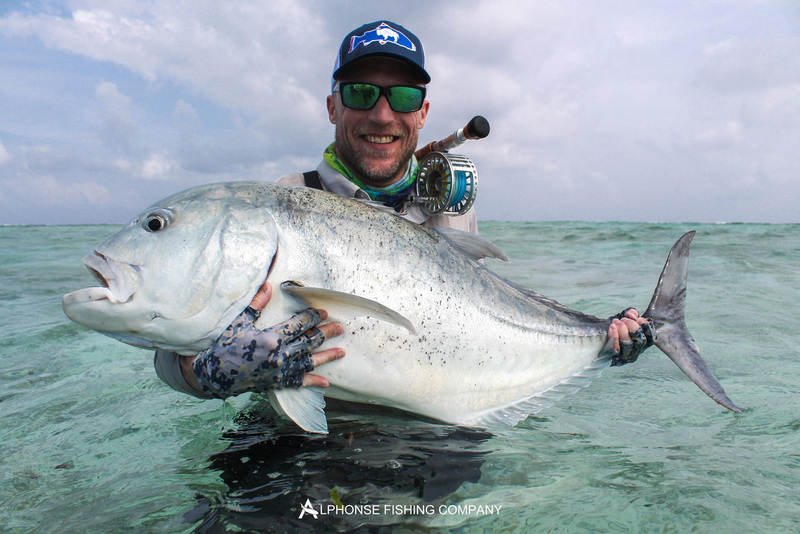 This week did not only produce phenomenal trigger and permit fishing but also some spectacular blue water and GT fishing. Ian McNeil and Brian Naylor both caught a ‘Bills and Bones Slam’ and received their badges and certificates for their achievement. 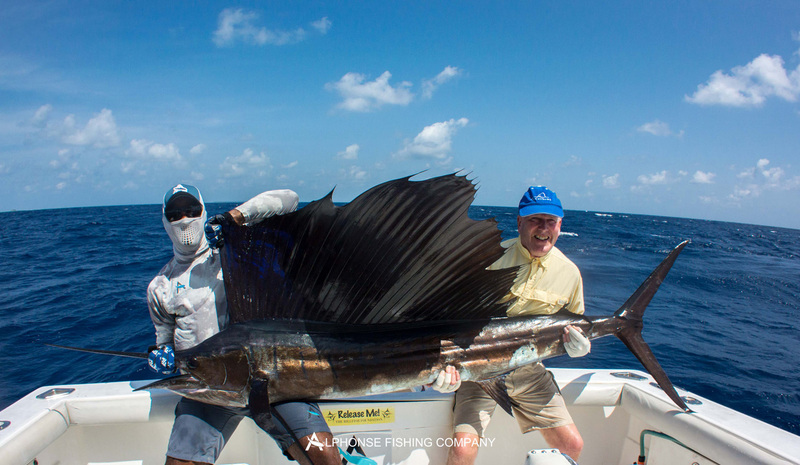 Joern and Maria Heiner managed to jump a bunch of sailfish and bill one each. Anders Nissen was the GT champ as he managed to stretch his guides tape measure out to 101cm fork length. Ron Benck, Mike Beck-Hansen and Sorren Nissen also managed to join the GT club with some very nice fish all in the 20-30lb range. 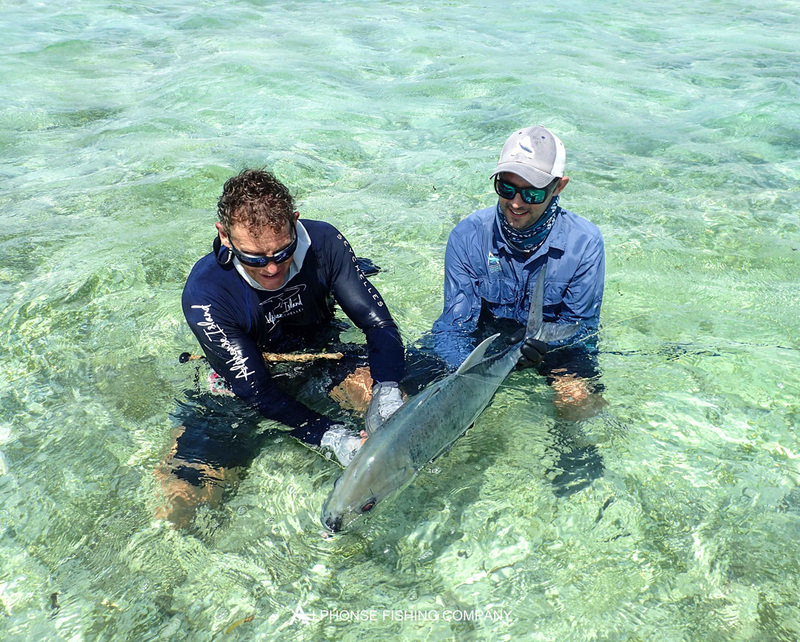 Lastly, Tom Robson finished the week as one of the top all-rounders, not only for his permit and two triggerfish but he was our only guest to land a Milkfish, which was also on the flats making it extra special. This last week definitely goes down as one of the best and a big thank you to all the guests for putting in the long yards in walking to and from the surf. At the time walking to the surf might seem daunting but making your way back with a bank full of memories is what it’s all about. 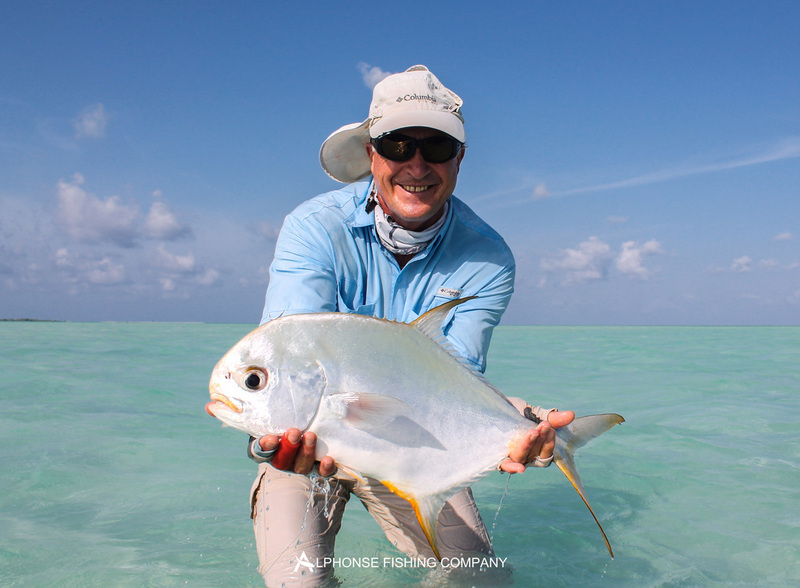 Tight lines from the Alphonse fishing co team.